Above photo kindle sent by Tricia Francis, 5 April 2015. 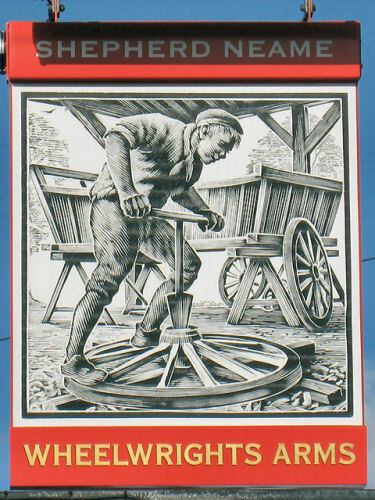 Above sign left, August 1985, sign right 2010. Above signs by Tricia Francis 2015. 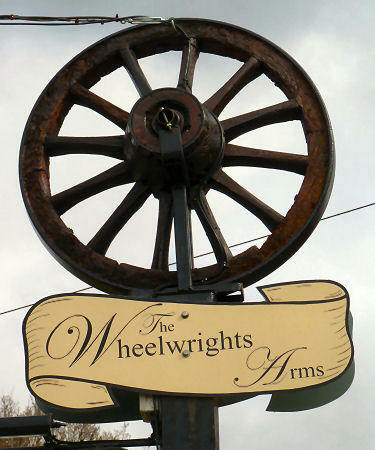 Mr. A. T. Simpson, solicitor, applied for the transfer of the "Wheelwrights Arms," Matfield Green, from George Carr to Luke Weston. 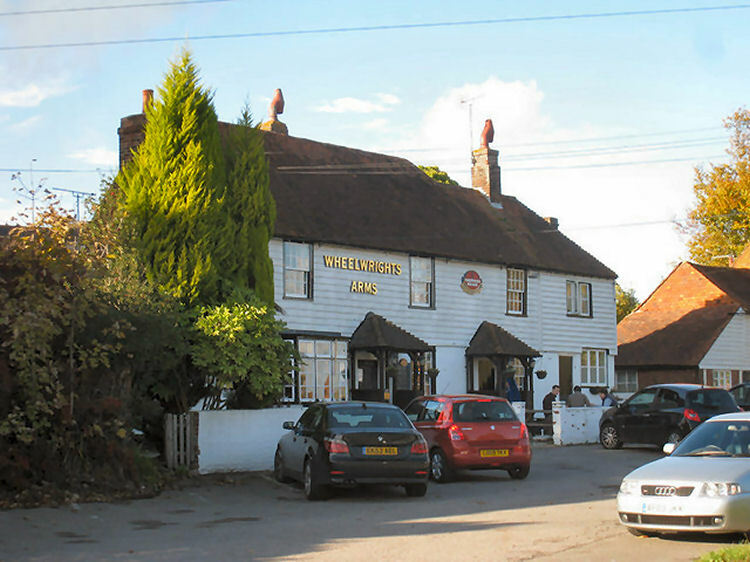 The learned solicitor reminded their Worships that they refused at the general annual licensing meeting to transfer the licence, in consequence of a report from the Sussex Police that the applicant had been twice previously convicted. Notices had consequently been given afresh, and the application was now commenced, de novo. 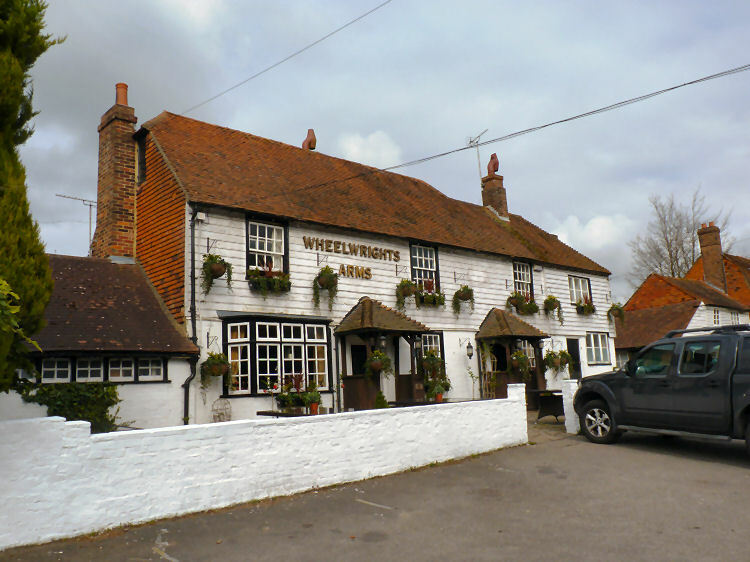 Mr. Simpsons called superintendent Diplock, of the Sussex Police, in charge of the Uckfield Division, who stated that he knew Mr Weston, who had kept the "Gun Inn," at Eridge, and he knew nothing against Weston, except two convictions recorded against him in the report, and one of these took place six years ago, whilst the other words to respect to a test case as to distance. 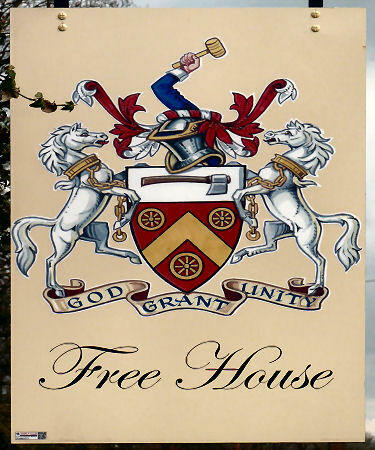 The magistrates unanimously refused to grant the transfer, and Mr. Simpson therefore gave notice of appeal at the next quarter sessions. 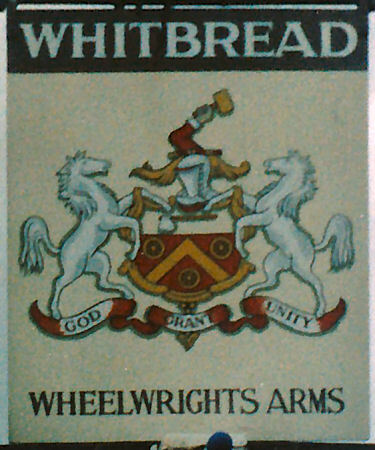 No opposition was offered to applications for full licences made by Cecil Roland Copplestone, "Wheelwright’s Arms," Matfteld.